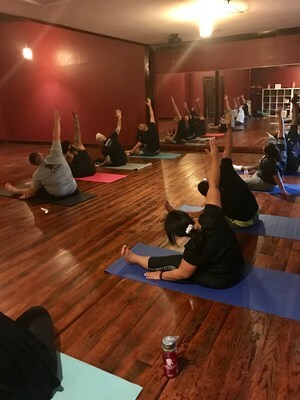 SAN ANTONIO, Dec. 21, 2016 /PRNewswire-USNewswire/ -- A group of injured veterans and family members explored the tranquil side of physical health and wellness during a recent Wounded Warrior Project® (WWP) program event at Total Harmony Yoga, a veteran-run establishment in Hill Country Village. 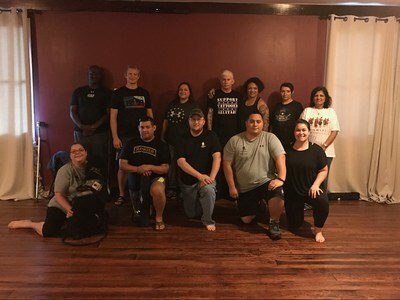 As participants learned the fundamentals of yoga, they experienced the benefits of attending social events that get them out of the house and connected with fellow service members who are also looking to improve their overall health and increase their mobility. Instructors accommodated participants of all ability levels and skill sets as they led the group in a slow hatha yoga class – a style of yoga that focuses on attaining balance through breathing and light stretching. "I used to do yoga, and I thought this would be a perfect way to get back into it," said Army veteran Joe Guerrero. "I enjoyed the stretching and breathing exercises. It's definitely a good way to work on your physical health." Beyond the benefits of improved physical health and wellness, outreach events like this support the long-term recovery needs of warriors by reintroducing them and their families to the unique bonds experienced during military service. Connecting with fellow service members in the community minimizes isolation and creates a support structure during the healing process. "Gatherings like this can bring wounded warriors closer with their caregivers, family members, and other warriors," said Air Force and Navy Reserve veteran Jacqueline Wheeler, who attended the class with her husband – an Army veteran. "We can all learn something from each other, and the things we learn can help us with our own challenges and struggles." In a WWP survey of the injured warriors it serves, 29.6 percent of survey respondents expressed physical activity helps them cope with stress and emotional concerns. Programs like this highlight the importance of managing mental health through physical activity. "Yoga is so powerful and peaceful to me," Jacqueline said. "When I found out about this event, I signed up ASAP. I was happy my husband was open to doing this with me, and we both really enjoyed ourselves." WWP staff closely interacted with attendees during the class, offering information on nutrition, fitness, and other programs and services. WWP programs assist injured veterans with mental health, physical health and wellness, career and benefits counseling, and connecting with other warriors and their communities. Through the generosity of donors, these programs and services are available to injured veterans and their families at no cost to them.